Are generally firmer to the touch and less natural in appearance than silicone gel breast implants. Saline implants are filled during surgery and allow the surgeon to make adjustments in the fill during surgery. In the event of a rupture of a saline breast implant, saline is released and the empty implant can be removed and/or replaced. Dr. Jejurikar will be happy to talk with you personally to address any of your questions or concerns. 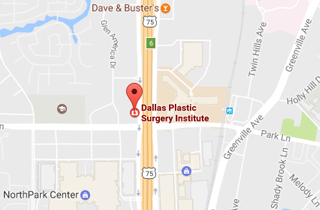 Call (214) 827-2814 to schedule a consultation with Dr. J to discuss Saline Breast Implants at our office located in Dallas, TX.